Pictures hint at stories sometimes – such as this one. 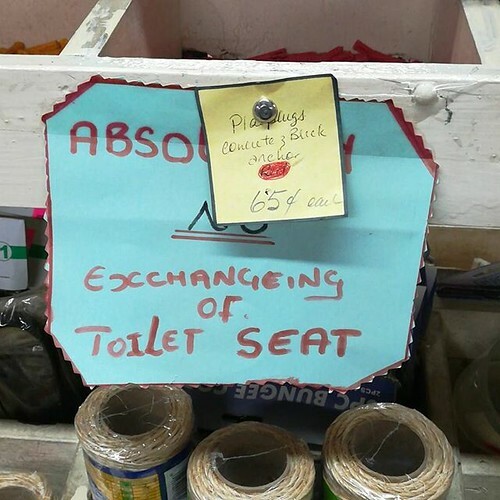 Who on Earth would think that they could somehow return a toilet seat, or underwear, or other things that would share space with the waste areas of the human body? And consider – it happens enough where people actually put signs up related to it. Clearly, as much as we have dealt with literacy, we as a society are failing somehow.